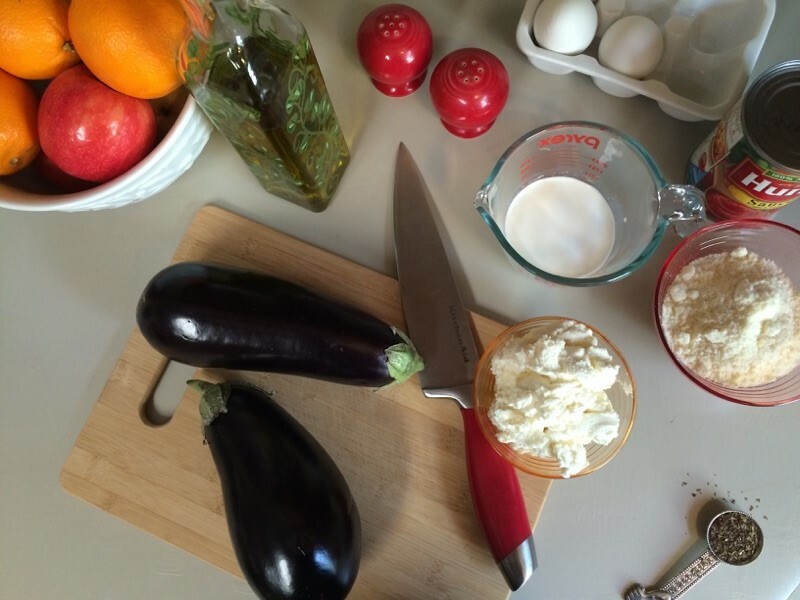 I have long wanted to try cooking with eggplant, but it is difficult to find in my small town. Luckily my mother shared these two lovely eggplants with me when she got them in a recent Bountiful Basket. 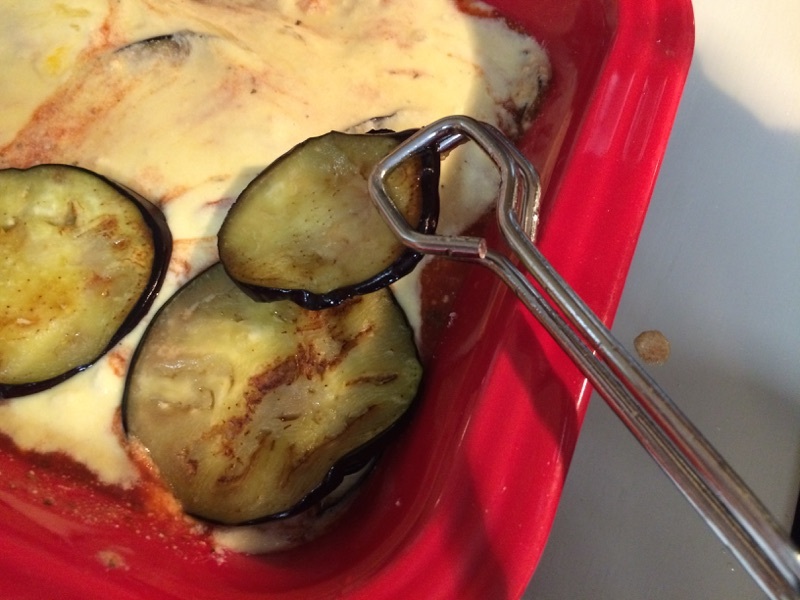 I decided to take a shot at making eggplant gratin. I wanted something that was hearty enough to serve as a main dish. This fit the bill. 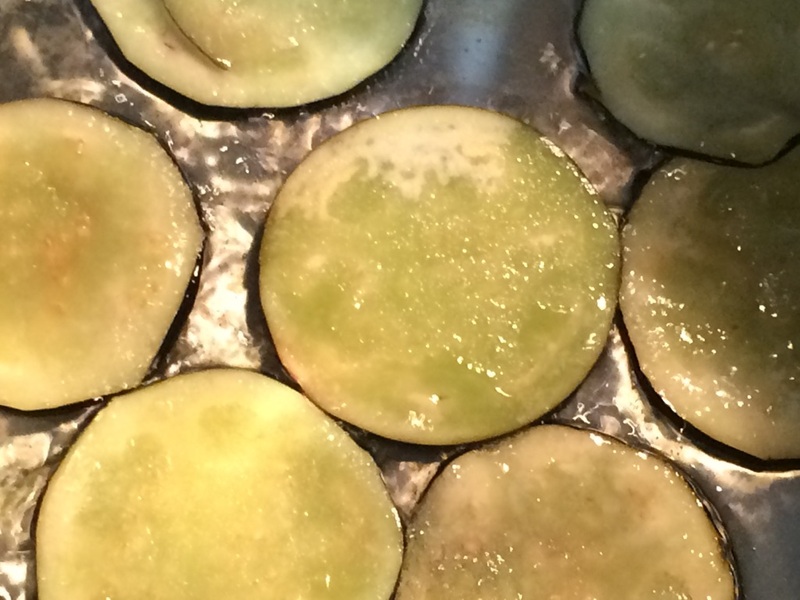 I was surprised how quickly the eggplant soaks up olive oil. Make sure you have a lot on hand before you start this recipe. 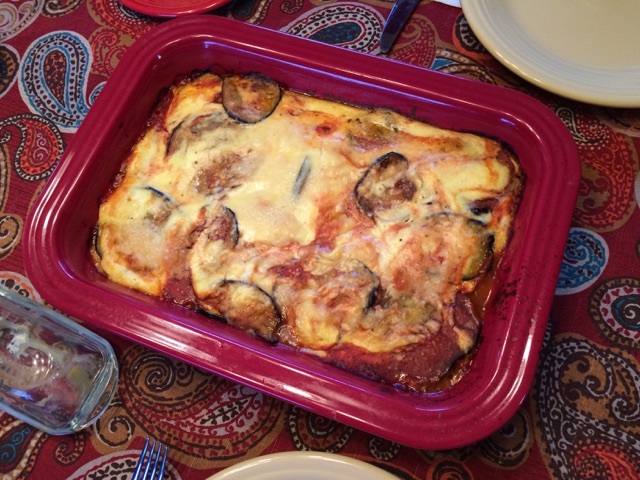 After browning the eggplant in oil and draining it onto paper towels, it is time to layer it in a baking dish with ricotta, parmesan, tomato sauce, and all kinds of other goodness. I used tomato sauce with a sprinkling of dried basil, but any canned marinara sauce would be delicious in this. The gratin bakes for about 45 minutes total. The result is a bubbly, creamy, and delicious. I served this with an easy cucumber salad and a baguette from the grocery store bakery. 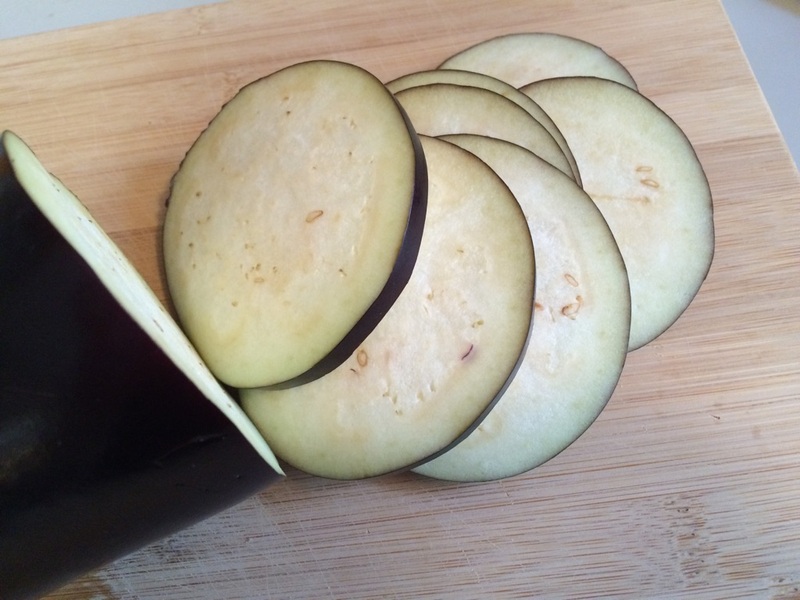 Slice unpeeled eggplant into 1/2-inch pieces. Heat 1/8 inch of olive oil in a large pan over medium heat. When oil begins to smoke, add one layer of eggplant and brown on each side, about 5 minutes total. 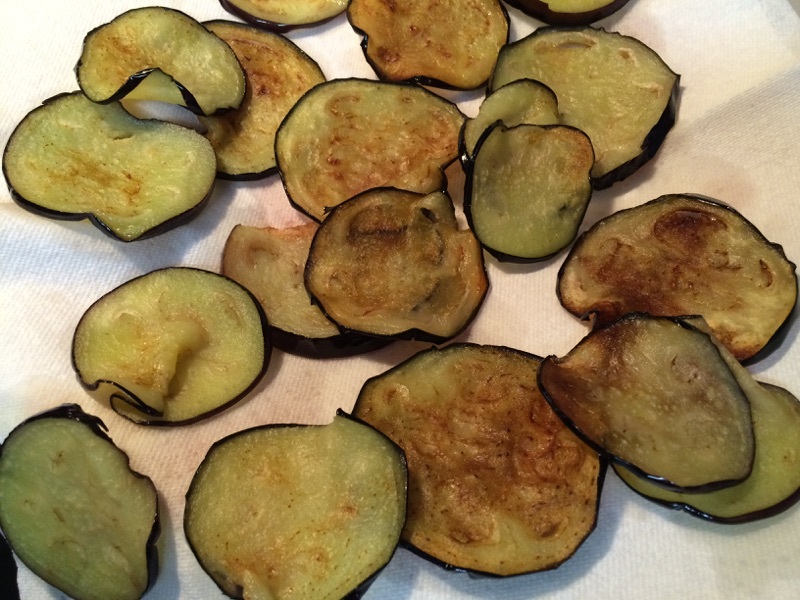 Remove the eggplant to a paper towel and continue cooking until all eggplant is browned. Combine half and half, ricotta, eggs, 1/2 cup of the parmesan, and a sprinkling of salt and pepper in a small bowl. 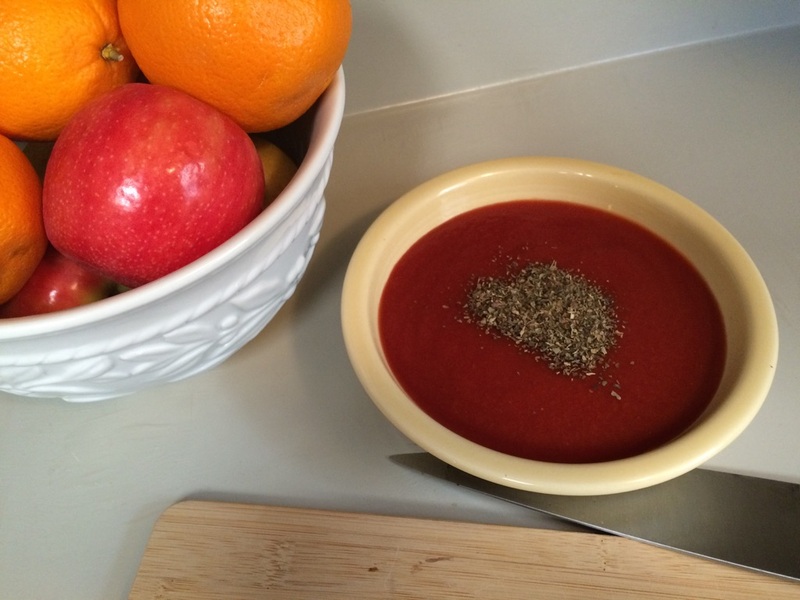 Combine basil and tomato sauce in a small bowl. 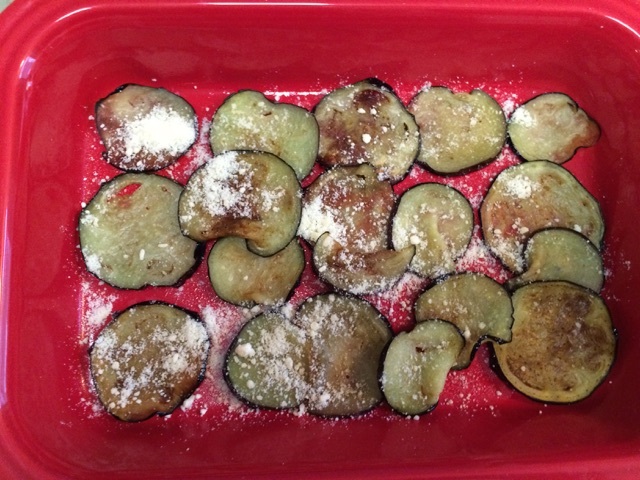 In a greased baking pan, add a layer of the eggplant, sprinkle with parmesan, add 1/3 of the tomato sauce, and 1/3 of the ricotta. Then begin another layer of eggplant and continue. 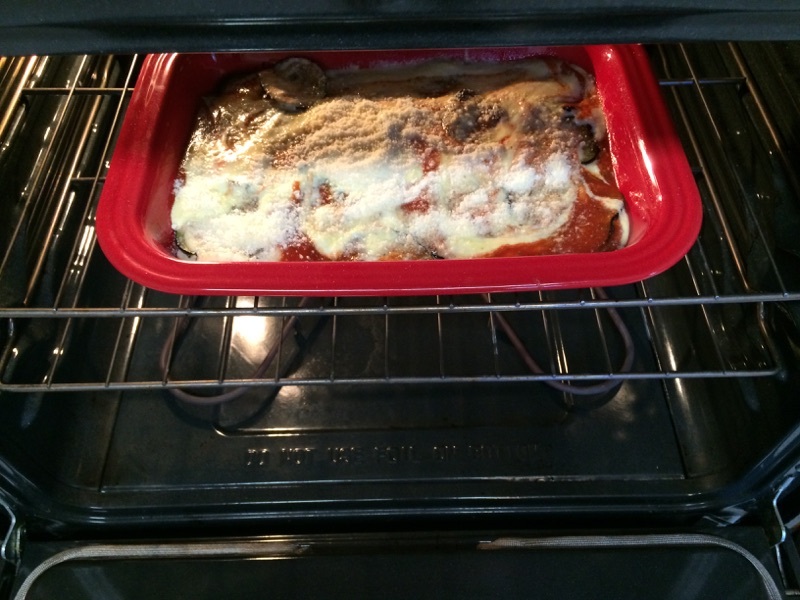 Sprinkle with parmesan and bake 15 minutes at 425 degrees. Lower oven to 375 degrees and bake for another 20 minutes or until the custard is cooked through. Hmmm this looks great! I’m going to have to try this recipe! I hope you like it! Thanks for reading.